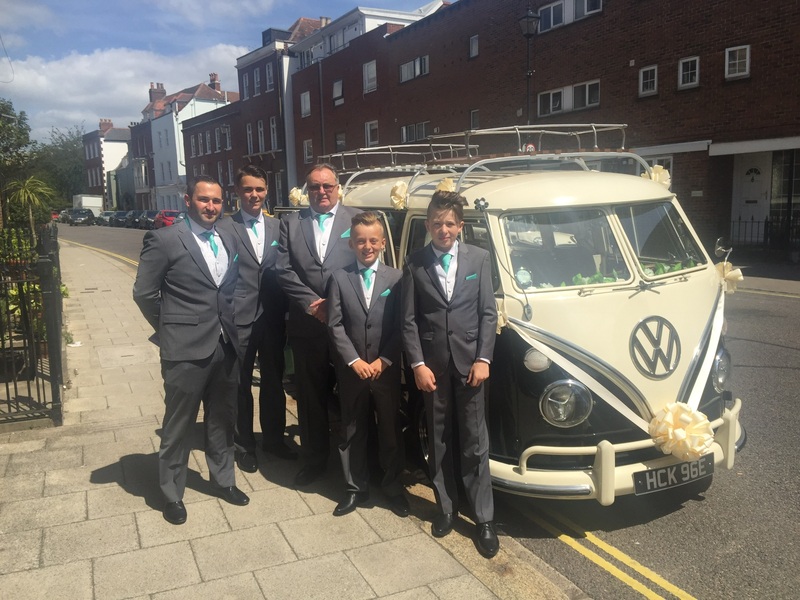 Guess who’s back, back again…Hectors back, tell a friend! 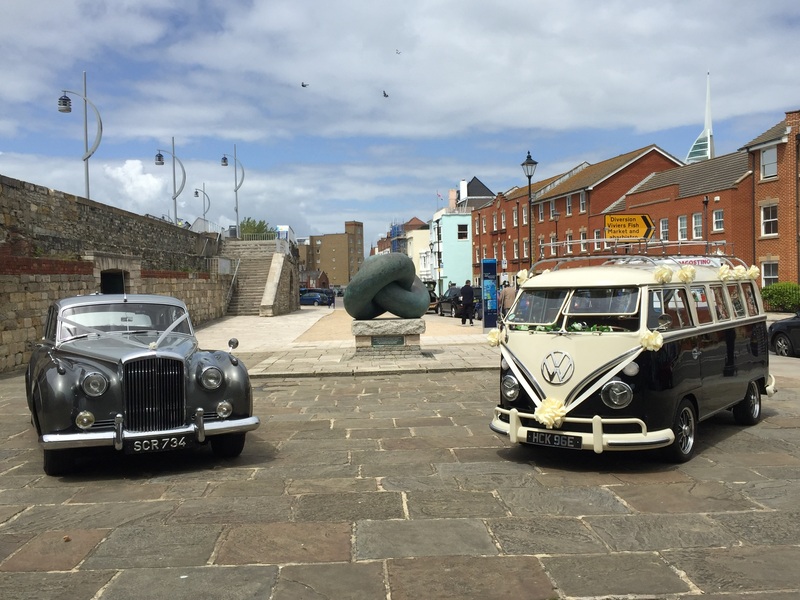 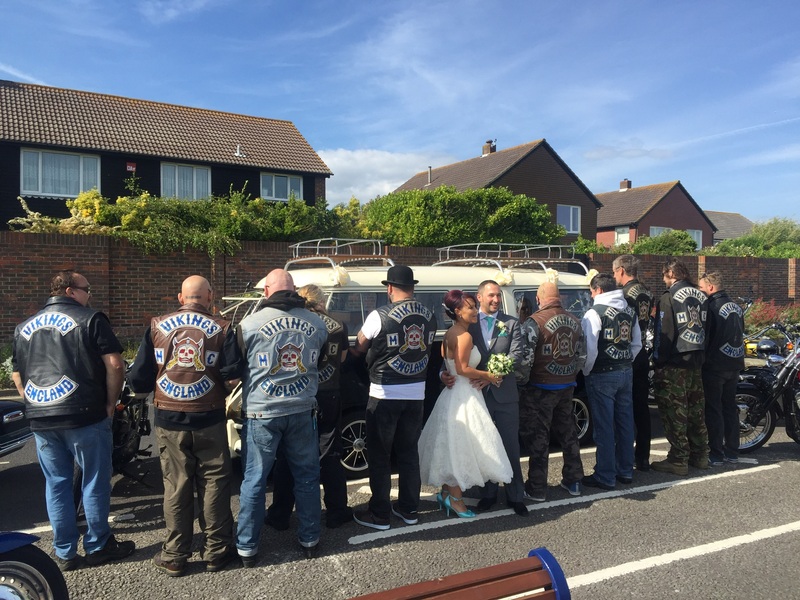 Our first (white) wedding of 2018 saw Hector travel over to Waterlooville to pick up the Bride and her father and transport them to St George’s Church. 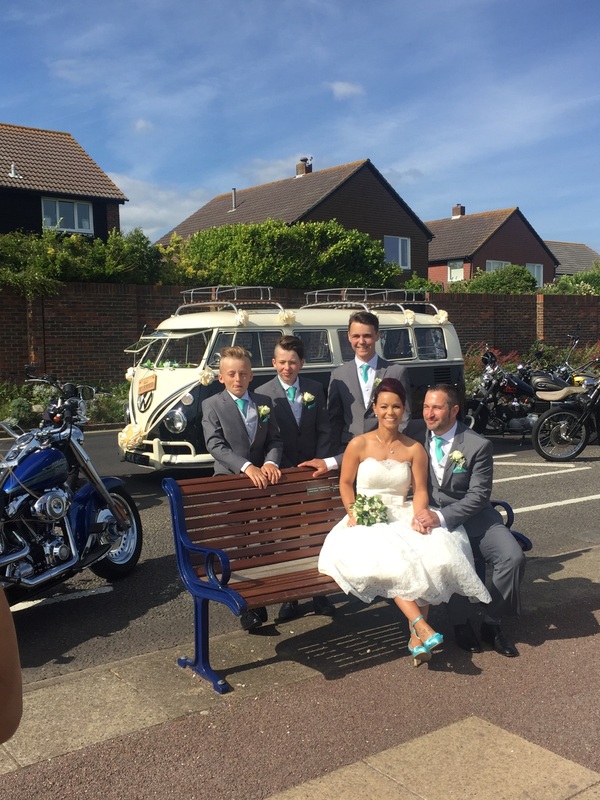 On bridesmaids duty was Allenby Limousines who provided their Jaguar. 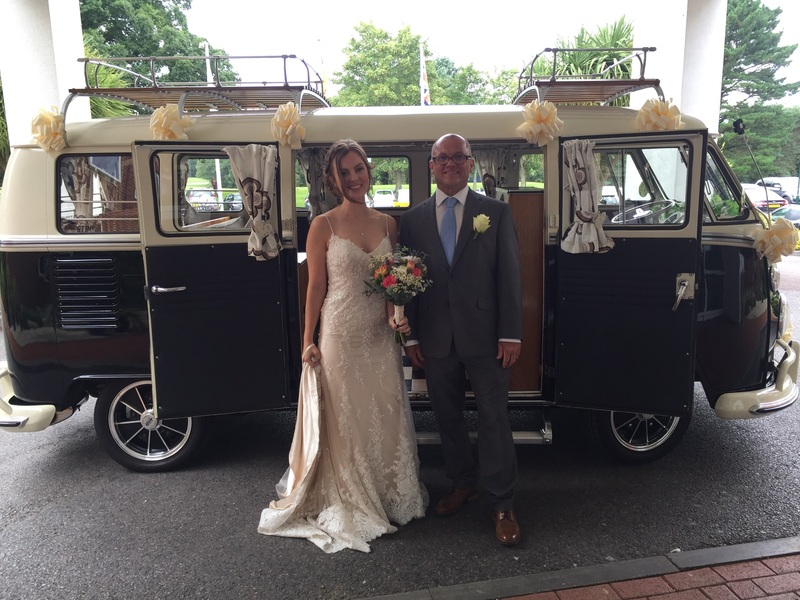 After the ceremony Hector then had a long drive with the now husband and wife to Old Thorns Country Club for the reception. 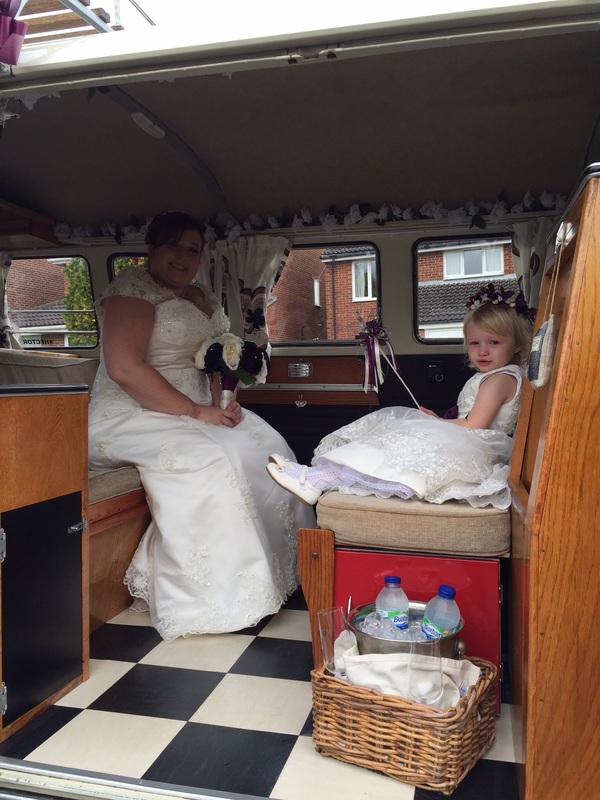 Luckily for this one any snow (yes snow in March) that did fall didn’t lay and we had a pretty clear run up the A3. 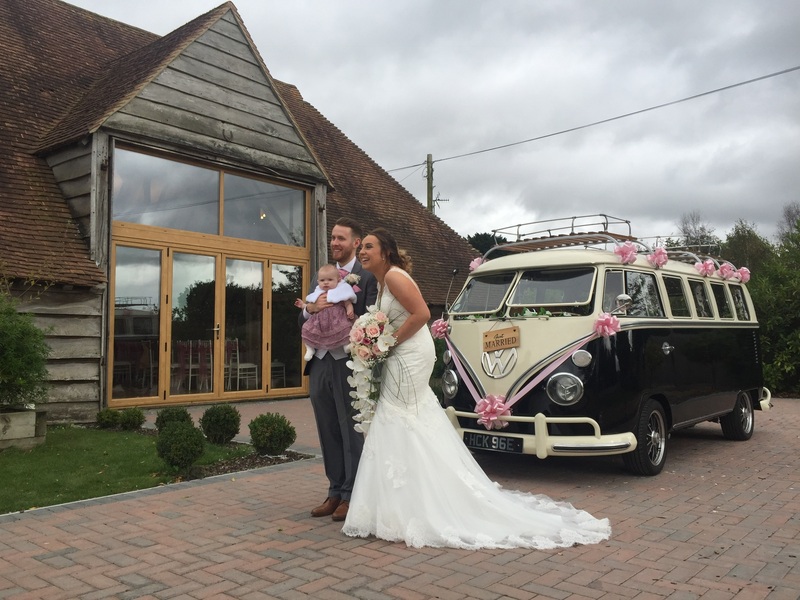 With prep all completed for today’s wedding at the fab Titchfield Barn its time to put pics up of last Saturday’s wedding at Tithe Barn, Petersfield. 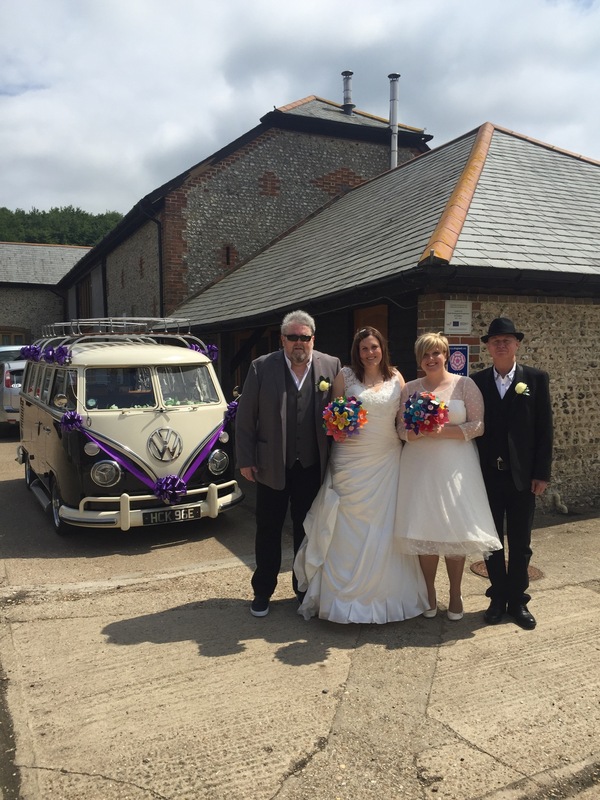 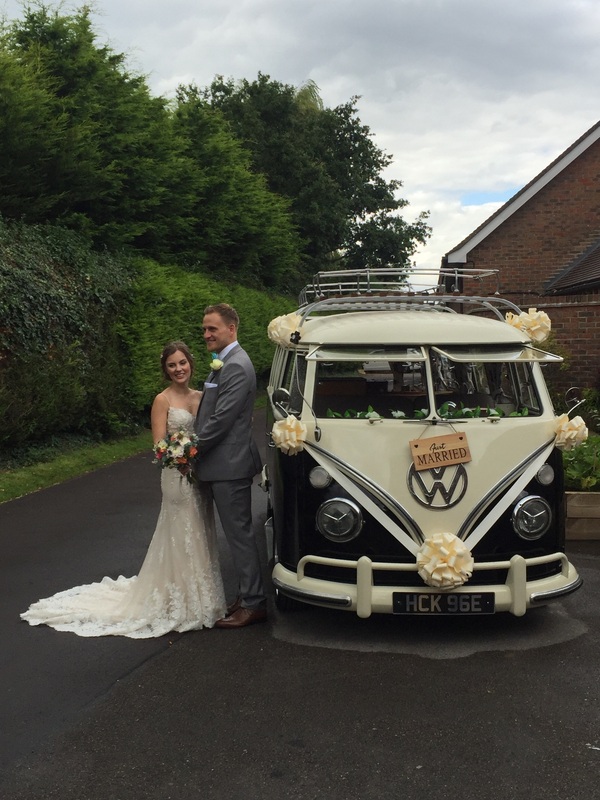 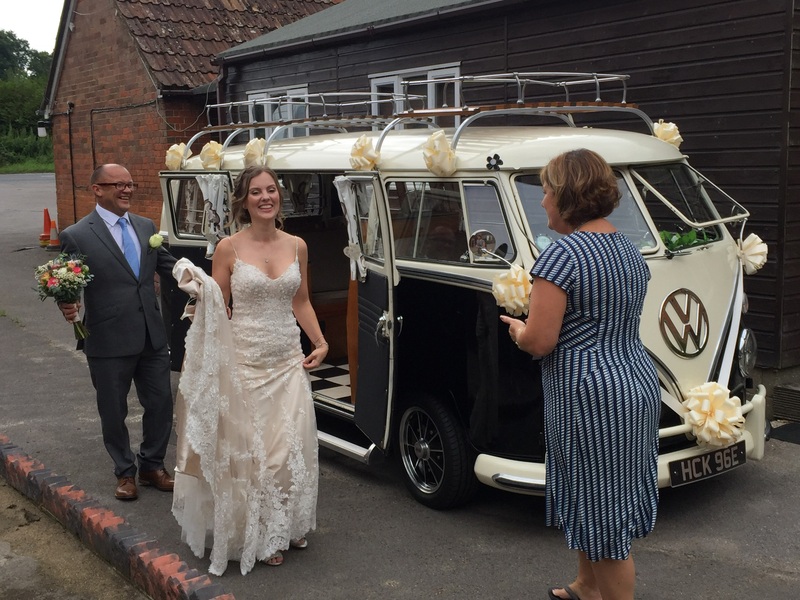 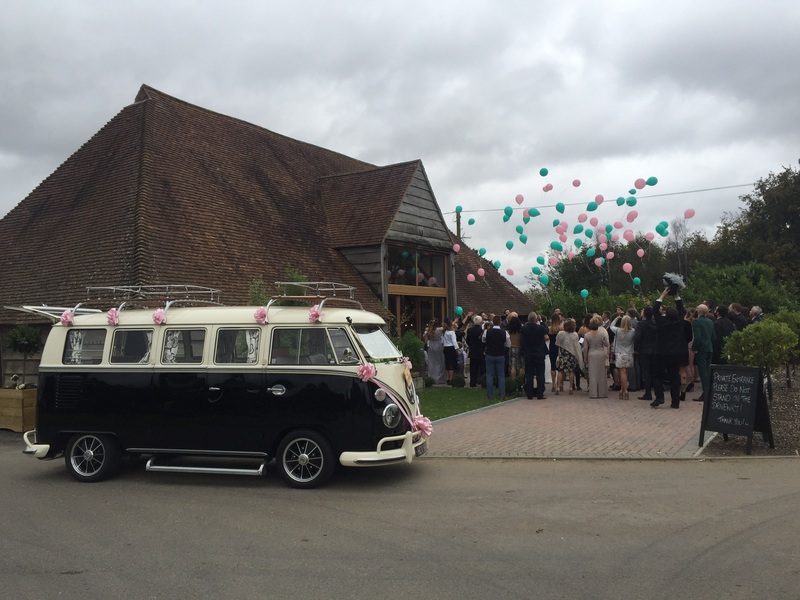 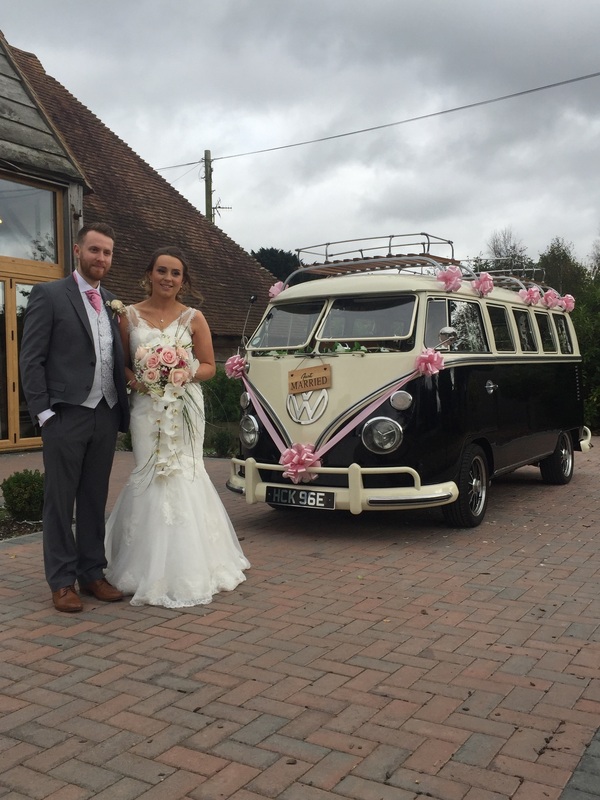 VW Hector transported the two brides and their dads from Pitlands Barn which are some amazing cottages and perfect for anyone getting married in the area, through some narrow country lanes, before arriving at the barn where all the guests were waiting. 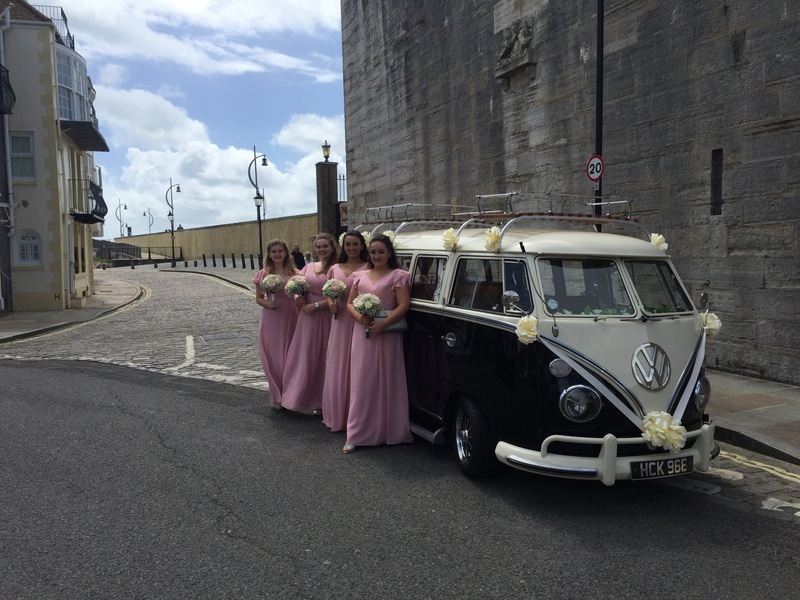 They all seem to love the fact the girls had arrived in vintage VW transport especially as we managed to have the splitscreen windows wide open, due to the glorious weather. 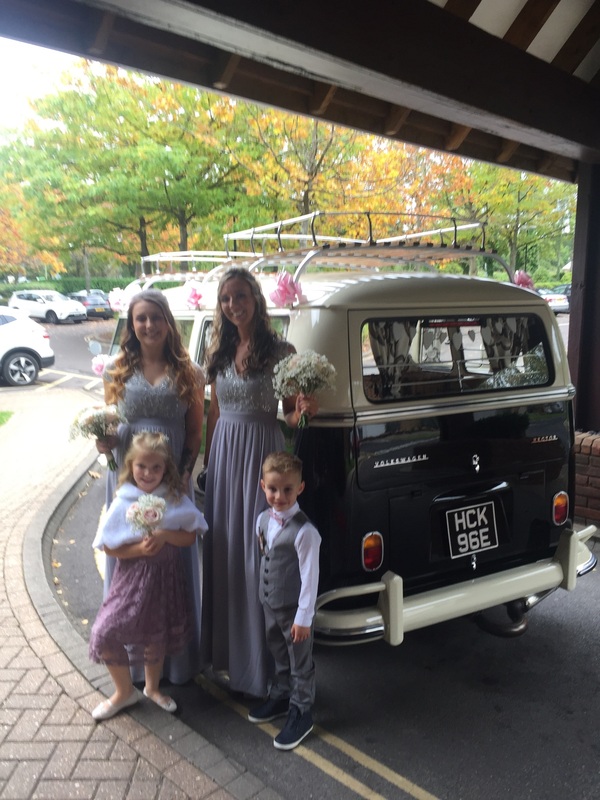 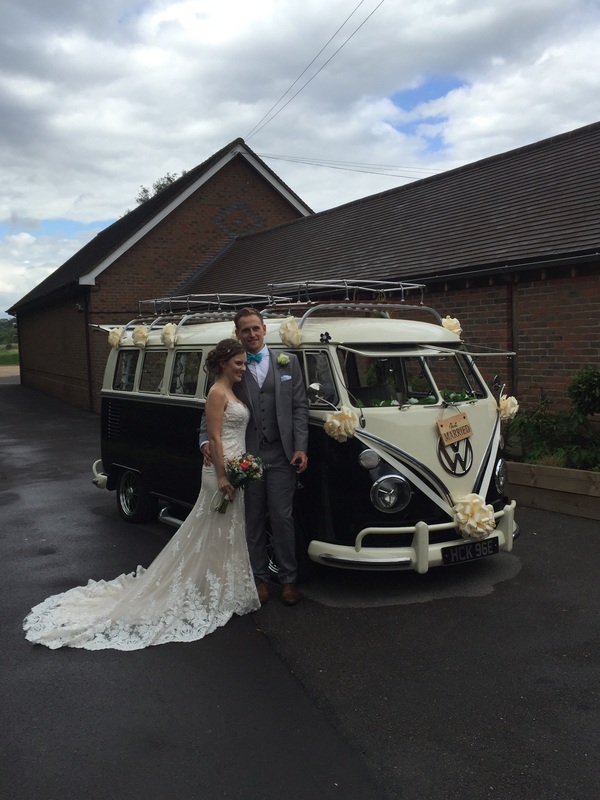 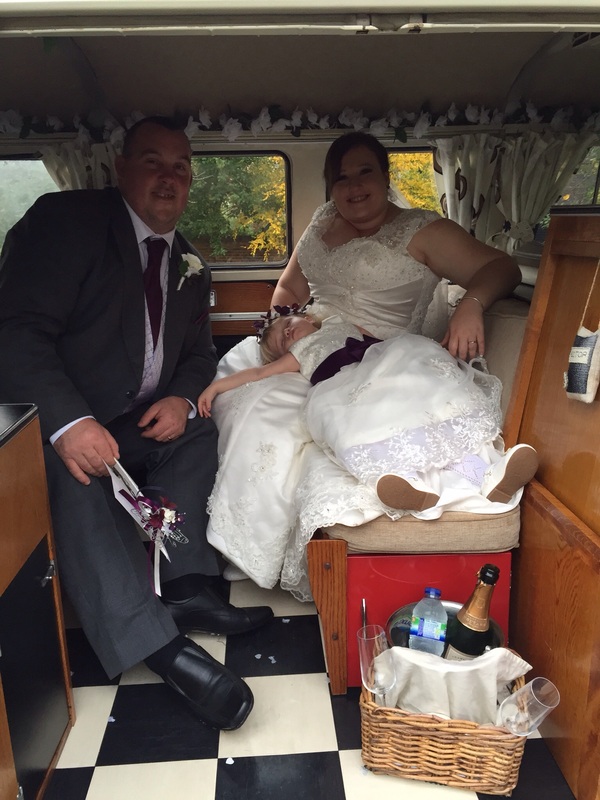 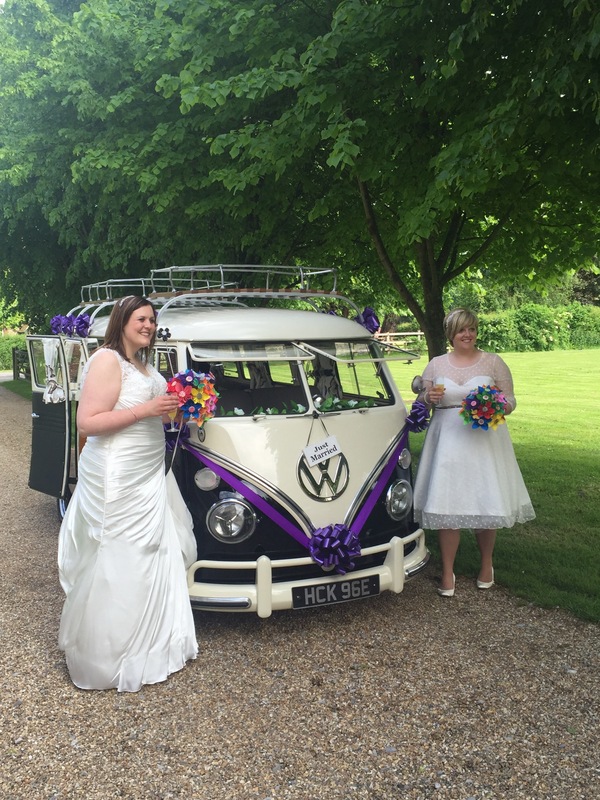 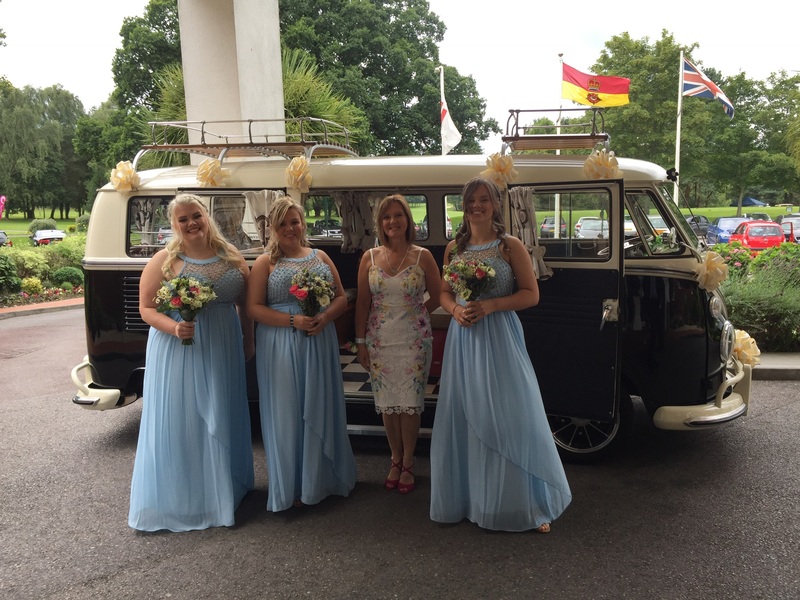 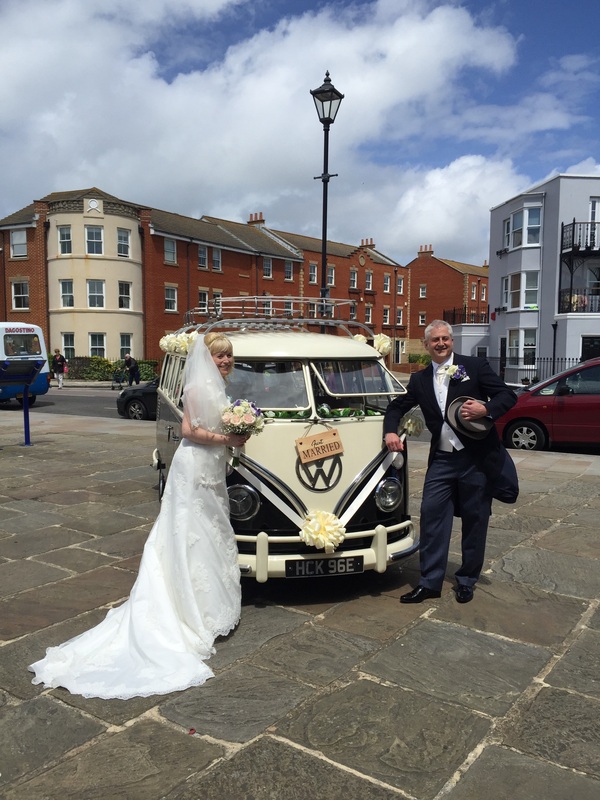 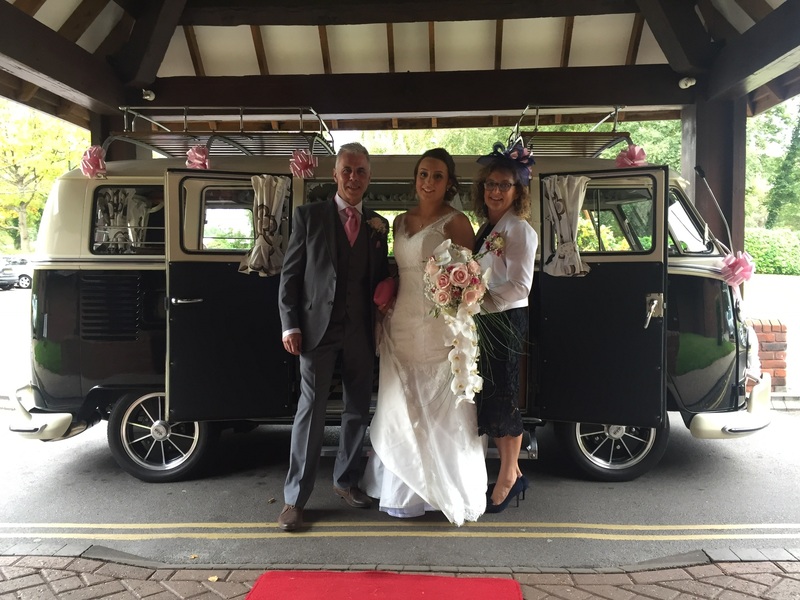 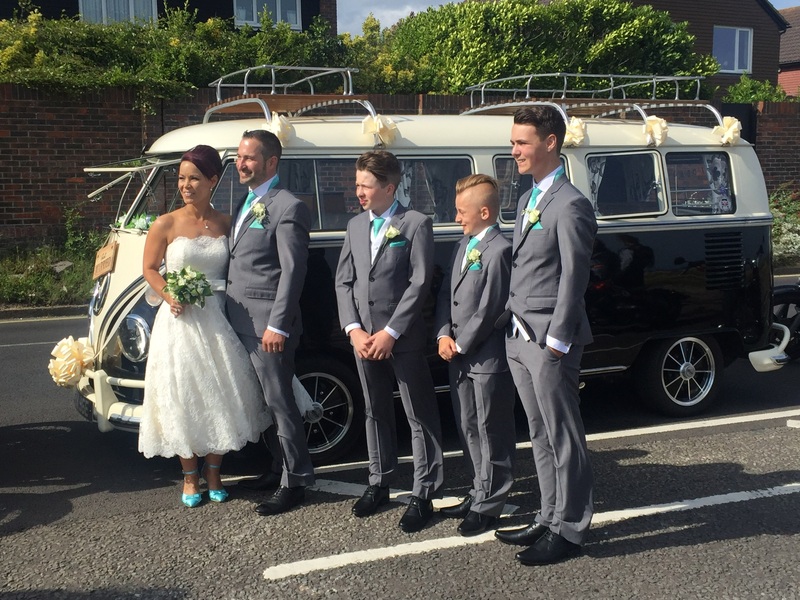 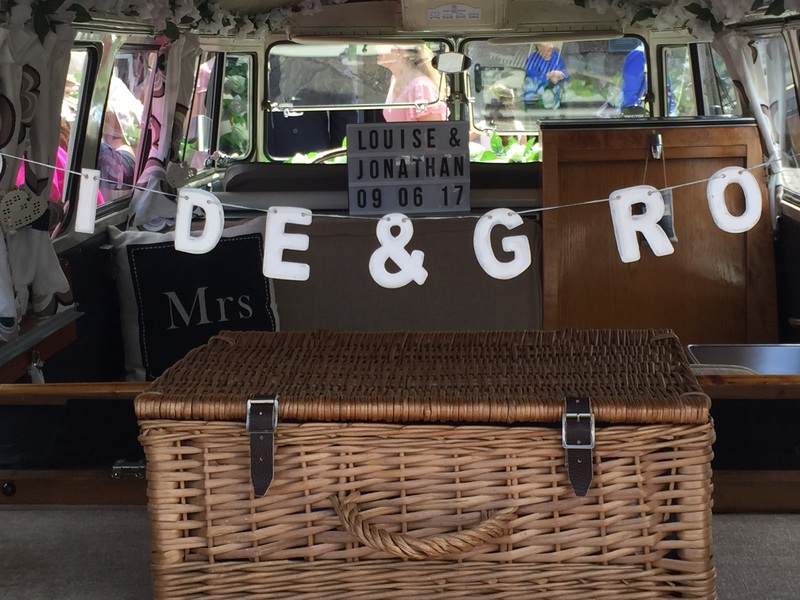 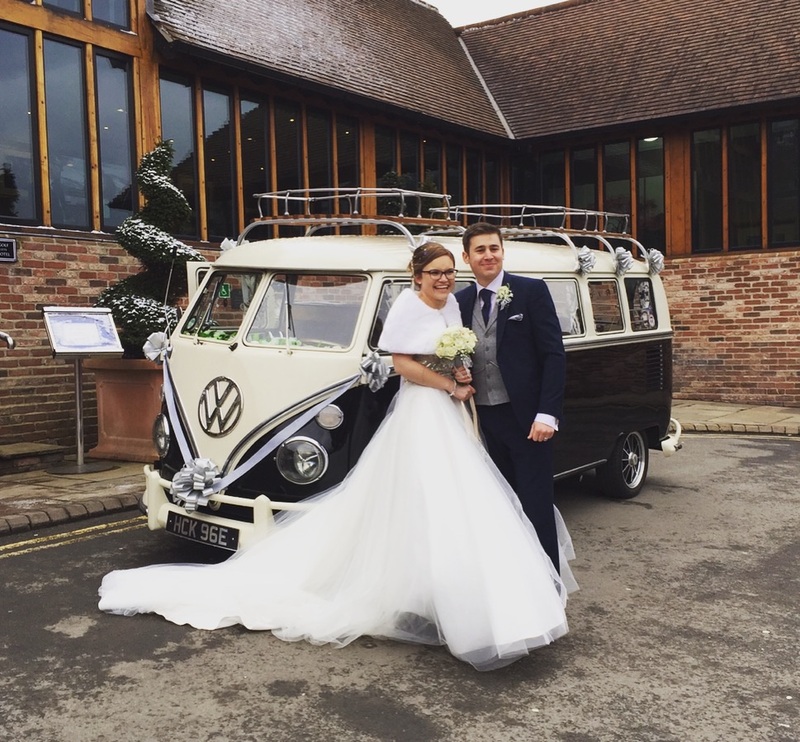 Congratulations Katie and Bronwyn and thank you for choosing us and Hector to be part of your wedding day as your wedding car!